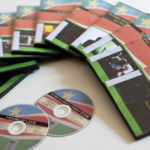 This collection is composed of published film material on VHS and DVD covering southern Africa, with an emphasis on Namibia. It includes the full spectrum of filmic works, from promotional films to shorts, documentaries, and features. Unpublished film material may be found in the Archive and Documentation department.